Up until this point, technology has been built around the idea of self-service. Seemingly any kind of service can be fulfilled by an app these days. Typically, all it takes is the registration of an account, adding payment details, and confirming your email address. While these services work well enough, the landscape is cluttered with thousands of apps and services that function independently. This forces users to navigate several apps at one time and manage dozens of separate accounts. But what if ordering dinner and a car to pick you up was as simple as asking for it? That’s precisely the design philosophy of chatbots, a new wave of technology that intends to redefine how we interact with businesses and services of all kinds. In fact, there’s a good chance you have access to a chatbot right now. Bot technology has exploded in popularity, thanks to intelligent personal assistants like Apple’s Siri and Amazon’s Alexa. For chatbots, the future looks bright. But like all good stories, it’s best if we start at the beginning. This new focus on automated service via chatbots isn’t a fad – it’s a measured response to the decline of the mobile software market. 2008 saw the release of Apple’s App Store, ushering in The Age of The App. This dramatic transformation and liberation of the mobile marketplace meant that anyone could develop and release their own applications for Apple’s devices. And as a result, countless independent developers struck gold by getting in on the craze early. As iOS devices grew in popularity and new users discovered the versatility of the App store, download numbers surged. Companies were born overnight and catapulted into unimaginable success. Some fell, and some flourished. But customer enthusiasm was at an all-time high as users continued to discover and download new apps. And yet, today’s app landscape is barren and bleak in comparison. Today, the majority of American smartphone users download zero apps a month. While big-name apps like Snapchat and Uber continue to grow in popularity, customers just aren’t as interested in app discovery anymore. Almost 1 in 4 people abandon apps after only one use. And while app downloads aren’t down across the board, users seem to be using what works and seeking out little else. Oversaturation of the app market has created a disturbing trend of disinterest among smartphone users. A newly-downloaded app’s once gentle demand for registration and account confirmation has now been deemed a hassle. And yet, amidst a dry, desolate landscape – one kind of app has persevered. The last several years have seen a dramatic shift in social networking. No longer are users primarily sharing content and engaging with others via their social feeds, such as their Facebook timeline. Instead, they’ve turned to what some refer to as dark social – interactions that take place via private messages and voice calls, rather than public. There’s a degree of malevolence to the name dark social, isn’t there? The trend it represents is fairly innocuous, but surprising nonetheless. And yet, the evidence doesn’t lie. Messaging apps such as Facebook Messenger and WhatsApp have actually surpassed social network usage in popularity. Whether this trend is due to newsfeeds becoming increasingly saturated or a yearning for more personalized engagement – social media has definitely changed. Web developers and engineers seem to know this better than anyone. And as it turns out, the future they’re planning may prove to be even more surprising. Since Facebook added support for chatbots, more than 11,000 bots have been added to Facebook Messenger, with more being added every day. The terms “chatbot” and “natural language services” might conjure up images of antiquated telephone support bots that have historically provided users nothing but frustration. But chatbot technology as it exists now is already providing seamless function and convenience – and most users are becoming quite fond of it. Not only are chatbots designed to simulate conversations, making them inherently easy to use – but they’re also designed to learn and evolve dynamically. This makes them adept at completing scripted transactions and tasks. They’re highly responsive, available 24/7, and don’t require an app download or paid salary – making them favored by both consumers and businesses alike. In this way, chatbots may be the solution to a previously excessive reliance on dozens of singular-focused, independently-functioning apps. For example, you could pull up Facebook messenger and instruct a chatbot to book you an appointment, place an order for a product, order a service, or recommend an option – all within seconds. No phone calls, no web browsing, no account registration – just send out a few messages, and the chatbot will do the job for you. However, like all new, evolving technologies, many are skeptical. Additionally, some have raised concerns about the artificial intelligence that enables bots to adapt and grow in function and understanding. But AI and chatbot developers seem to believe resolutely in the untapped potential of the technology. “Language is the most natural interface humans understand, and that’s the interface that bots use,” said Matt Schlicht, CEO of Octane AI. “Instead of needing to constantly learn visual interfaces, bots will enable us to naturally use language, the first interface we were ever taught,” he continued. Schlicht’s statement, while idealistic, certainly doesn’t sound implausible. 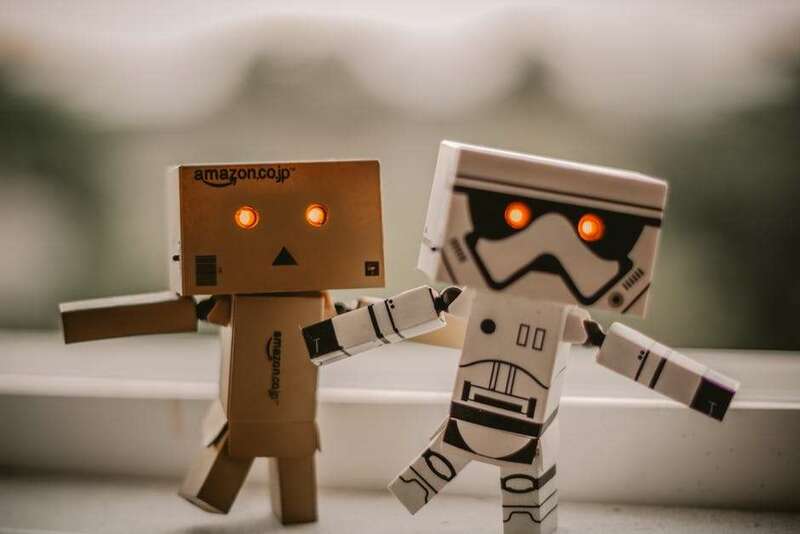 Bot technology has already proliferated greatly, working its way into nearly every household and pocket in the interconnected world. You may already use Apple’s built-in Siri feature for simple tasks such as setting reminders or taking notes. And Amazon has been tinkering with its Alexa personal assistant bot, developing ways for it to monitor your home security and check for Amazon packages. In the future, the applications may be much broader. With the Age of the App behind us, we may be entering into a new era of automated business and services. But as always, only time will tell. We hope you’ve enjoyed this post! For more business strategy – online and off – keep up with us here at the Yocale blog, five days a week.